A stone"s throw away from the White House this unique coworking space on the high-powered K Street North West is ideal for any business looking to make an immediate impression. The collaborative workspace is particularly popular with law firms, non-profits and lobbyists. The regional transport links are also excellent and offer prospective tenants with a range of frequent and convenient services in operation nearby. With ready-to-go office suites that range from 90 to 330 square feet and are perfect for between one and three people, this premier 9th floor corporate location is ideal for any type of professional client or corporate workspace requirement that desires or needs an attractive and impressive rooftop terrace area with stunning views while only being steps from the White House an the world famous city's abundance of sites of public interest and tourist attractions. These leased offices are located in a fantastic location, based at Farragut Square, close to the White House. These locations serves well as it is readily networked and offers convenient transport access where the Metro Lines are very nearby. With a range of support services, including high-tech IT, this center overlooks the C&O Canal, and offers a rnage of workspace solutions. Restaurants, hotels and shops are a short stroll away, and the site is easy to access by public or private transport. The locality also provides prospective occupants with a multitude of frequent and convenient transportation services across extensive rail and road networks. 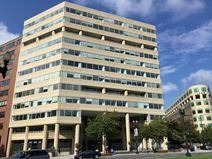 Near to many widely renowned and culturally significant government buildings as well as the Supreme Court and right by Union Station in the NoMa neighborhood, this business center provides collaborative open-plan office space and fully furnished executive suites. The space is also surrounded by banks, Government Buildings and gas stations, and local museums and attractions are within walking distance. With custom murals and artworks throughout this collaborative workspace has been designed to incorporate the sense of luxury and wonder of a classic theater and is conveniently located just north of Capitol Hill. The rooftop terrace is the ideal place to host your next event while there are numerous meeting and conference rooms available. The regional transport links in the immediate area are excellent, with convenient services in frequent operation. Situated in Chinatown, Washington D.C this collaborative workspace is popular with a wide variety of businesses, from start-ups, high-growth companies, and government agencies all taking space here as they look for an alternative to the traditional office. There are dozens of bars and eateries all within the vicinity of the building, meaning that you don't have to go very far to eat great food and enjoy your time out of the space. Just north of one of the city's most iconic parks in the heart of DuPont Circle, this unique and exceptionally prestigious, contemporary coworking space provides a diverse and versatile environment to work from. Showers and an on-site games and arcade room are provided to relax away from your desk. This center is fantastic for inspiring and bringing people together with weekly networking events and happy hours too. Office space to let is now available at the Washington Square location close to the White House in this central business district. The facility is also near to the Farragut Transit Line and a few minutes’ away from the MCI centre. 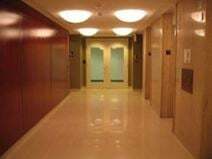 These offices are in a recognizable building that is well built and offers an on-site fitness centre and showering facilities. Combining exceptional facilities, convenient transport links and some of the most popular and fascinating tourist sites in the Unites States; this site is perfect for professional clients of any industry and background. Set in the heart of Washington’s central business district with direct access to Farragut North metro and just two blocks from Farragut West, access to this prestigious and exceptional quality is very easy and this makes it the ideal venue for both conferencing and corporate functions as well as just day to day business operations. This center offers a bright, productive work environment with private offices and collaborative work are, as well as a full range of business support services. This contemporary and exquisitely furnished corporate installation provides numerous offices to rent in this prestigious location close to many upscale hotels and restaurants. This is located in the metropolitan area close to the Metro Lines and is within close proximity to embassies, other governmental organizations and other private enterprises making this a very business friendly location. The building has well appointed interiors and boasts many meeting rooms. With stylish interiors, superb materials, a prominent address and a gorgeous roof-top terrace overlooking historic Washington, DC, this center offers a range of office solutions. This center is located in a lively neighborhood, conveniently close to public transport. Located in the centre of the city, with a prestigious and convenient position, this center provides a variety of luxurious office suites with up-to-the-minute IT technology and friendly staff available to meet your business needs. Close to the Howard University this collaborative workspace inhabits what was once an abandoned factory building. With a combination of industrial and refurbished interiors the space is ideal for creative firms to tech start-ups to non-profit organizations that don"t wish to work from a traditional office setting. The center also have weekly networking events and happy hours so that members can engage with each other as a community and build their professional portfolios. This serviced business center is situated in DC’s East end business park making this a very sought after location, as it is close to the White House, the Pentagon and Capitol Hill. This center is also walking distance to many fine hotels, cafés, banks, and retail stores. The office suites are designed to a high standard and this facility offers covered parking and easy access to all major Metro Transit lines. Ideally located close the to White House this elegant coworking space also has fantastic views of the Monument in Washington D.C. A stunning sky-lit atrium is sure to impress your guests while there is also an on-site meditation room available to relax away from your desk. Overall this unique space provides a dynamic, collaborative atmosphere with a multitude businesses making this space their home. This premium and highly innovative business center location provides office space to let conveniently located close 13th street and to the Metro Line and offers safe and secure parking. The facility is a short drive away to RR International and Dulles Airport making this a very desirable and convenient location to conduct business. The building includes a grand marble foyer and meeting rooms, and a board room to seat many guests. With a prestigious address in the heart of Washington, DC, this prominent business center provides luxury executive office suites. Boasting high-end IT and a world-class range of business support services, this address is ideal for your business. Situated in the heart of the Golden Triangle this beautiful Class A office building has direct access to Farragut West Metro station and is surrounded by some of the capital"s best restaurants and sites of public interest or historic significance. The regional transport links in the area are also significant and highly convenient, with frequent road and rail networks in operation, connecting tenants with the wider region and beyond. One block from McPherson Square Metro this beautiful limestone building has 11-story columns and houses a variety of on-site coffee shops and restaurants. It will also soon house this business center that will provide a variety of fully furnished offices. This centre is located in a vibrant Central DC Business District close to the Metro Lines. This building is close to the IMF and the World Bank, making this centre a great place to do business. This facility is walking distance to many upscale restaurants, hotels and to the famous Lincoln Centre. The offices are designed in plush settings with a grand marble lobby and offer plenty of natural light. The facility offers 3 meeting rooms and covered parking. Expand your mind, network and business by opening the door to a beautiful, new way of working. The inspiring spaces give innovative companies and startups the opportunity to set up shop among industry leaders and millennial talent, celebrating the local startup ecosystem. Forward-thinking enterprises understand that this is where greatness happens, taking their project teams outside corporate walls and into a community that drives speed and out-of-the-box thinking - letting their teams run fast and free. Traveling? Feel right at home at the best spot in town with superb meeting facilities and a caring local community to show you around. 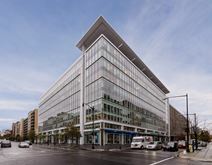 With a commanding location on Connecticut Avenue, this business hub has been designed to create a flexible and professional workspace environment, ideal for the requirements of the sectors active in this area. Offering terrific views, a fitness center and a host of other business support services. Leased space now available just around the corner to the White House and in the middle of the central business district. These prime location virtual offices come with a range of facilities and amenities and offer flexible rental contracts. This office was designed with efficiency in mind, offering a long list of amenities and a support team available to help you grow. This office was built to hold almost any size company, big or small. Offering flexible leasing terms and pricing packages, this location is truly a premium experience. This building provides its guests with convenient access to many of the local transportation stations and local activities. This executive business center offers elegant and stylish office space with natural light, hi-tech IT infrastructure, flexible office arrangments, striking architecture and an amazing CBD location. The address is close to a great range of amenities, including banks, daycare, eateries and retail. Remodeled in 2007, this center features premium amenities including a rooftop terrace with Wifi access, a spacious fitness center including locker rooms and numerous restaurants on the street level. Home to the US Green Building Council, this centre is LEED Certified and maintains the highest standards for energy efficiency. Citibank and Bright Horizons Day School are also located on the street level. This fully functional and exquisitely furnished contemporary business center installation is one of the region's foremost and most technologically innovate commercial locations, offering prospective tenants with an extensive variety of state of the art and impressive professional facilities. The site offers spacious meeting rooms, conferencing capability, high speed internet connectivity and much more. Located in a youthful neighborhood, along from the Navy Yard this modern, renovated, elegantly designed building has private offices and co-working space spread over three floors with members supported by an on-site team. Ideal for companies who frequently host guests and clients. The regional transport links are also excellent, with a range of frequent and convenient services in operation throughout the locality for all tenants. This fantastic and class A+ professional business center is set on the ninth floor of a stunning and exquisitely furnished premium office building, has luxurious office space available. The center features a rooftop terrace, high windows and breathtaking views of the Capitol and is HUBZone qualified. It is located very close to Union Station, in one of Washington's most sought after business addresses. Office rental space offered at this grand location close to the White House and to the Court House. This center provides easy commuter access to the Archives Metro Lines and to Ronald Regan International Airport. There are lots of leisure activities nearby including many hotels and restaurants. The offices are furnished and come with private telephone number facilities and with a range of administrative facilities. Friendly reception staff available to greet guest and to provide help. Safe and secure 24 hour access provided. The offices are designed well and managed by a professional team offering a range of services. The offices are fully networked and offer great sophistication in making this an ideal working environment. The regional transportation services are also exceptionally convenient and offer prospective tenants with an ease of accessibility and regular connections to the wider region via numerous road and rail networks. Offices that are leased are located in this Enterprise Zone business hub in DC’s busy district. The facility is situated very close to many fine hotels like the Willard, upscale and popular local restaurants and retail shops. The suites themselves are well appointed and designed tastefully with luxurious and exquisite fittings. The facility offers easy commuter access via the Blue and Orange lines at the Metro Transit Station. This center offers fantastic serviced office space located within a few minutes’ to the White House and close to many banks and cafés nearby. This is a convenient location offering views of the White House and over Monument Hill. The offices are furnished to a high standard and offer telephone and voicemail facilities. Many admin amenities with reception cover also available. Easy covered parking offered on-site. This striking ten story building, part of the Square 54 development, has office space available in picturesque landscaped surroundings. The building is also home to 20,000 upmarket stores and many other amenities. The center is located in Washington's Central Business District, in close walking distance from the local Metro Station. Several well-known hotels and restaurants are close by. This technologically sophisticated and exceptional premium quality provider of professional workspace solution packages is located in an historic Georgian neighbourhood and provides scenic and highly desirable views of the Potomac River and the surrounding region. The White House is just two miles from the offices, giving this business center a significantly large degree of prestige and notoriety as a key local business venue. Situated in the Dupont Circle neighborhood of Washington DC, this is a highly accessible location. The building was constructed in 1915, and offers shared offices and private suites. Meeting space is also available via online bookings. This exquisitely furnished and exceptionally well equipped business center installation is one of the region's foremost workspace providers, with a wide range of workspace solution packages and professional services available across the impressive corporate complex. The site is also easily accessible, owing to the extensive and convenient transportation networks present throughout the local area and immediate vicinity. These downtown offices are located at the Chase Pavilion Centre situated at North west DC and provides internal convenience to the Metro Heights Station offering many shops and restaurants and to many nearby hotels, with the added advantage of an onsite Embassy Suites Hotel. These offices are based in 9 stories of this tower with many onsite retail stores and are uniquely designed and offer a range of amenities and services.